What if you could make learning Spanish fun, fast, and easy? YOU can quickly and easily learn Spanish, while you actually enjoy the process—in just minutes a day! 1. How to instantly imprint your memory with the 1,000 most commonly-used Spanish words. And why these 1,000 words will get you through almost any Spanish conversation you'll ever encounter. Focusing your time on these "top 1,000," slashes your learning curve to the bare-bones minimum! 3. How to use mental pictures (your brain's natural method of learning) to cement new Spanish translations into your mind for good. Plus, 119 "Link Word" translations. Once your brain links each word with the mental picture provided, it's actually difficult to shake them out of your memory! But before I dive right into the gravy, I must let you in on a little secret. When it comes to learning a new language, there are two types of people. The first type struggle for years before they can spit out a few coherent sentences... while the second take to a new language with ease, as if they've been exposed to it for years. Now, here's where the secret comes into play. You see, most think the folks who take on a new language in a snap are super-fast learners with some kind of "linguistic talent." But the truth is that talents have very little to do with how well your brain grabs onto a new language! Knowing What To Do At The Right Time! Spending hundreds or even thousands of dollars on expensive Spanish learning books, audio programs or courses? Having trouble remembering even the most basic of words... or sustaining a simple conversation? 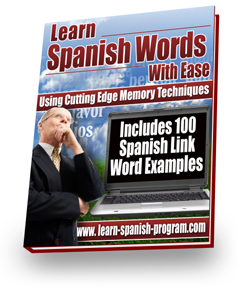 Wanting to give up when faced with a long list of Spanish words and phrases to be memorized? If you have, you're most probably on the wrong path. Truth be told, if you're experiencing anything other than feelings of joy and enthusiasm when it comes to learning Spanish... you're doing it the wrong way. This can not only cost you more time and effort than necessary, it also takes all the fun out of learning. Nothing I Tried Seemed To Work! The more I tried to learn the language, the more I resisted it. I was almost prepared to quit the whole learning game when one day it finally hit me like the proverbial "brick on the head" --- All this learning, all the time and effort spent will come to nothing if certain basic, fundamental words of the language are not memorized! Here's why - Language experts recently found that as much as 50% of all everyday conversations in Spanish (or in any other language for that matter) consists of not more than 1000 words. In fact, in your normal, everyday usage of Spanish, it is seldom that you will ever come across a need to use anything beyond this list of 1000 words! How will it change the way you speak Spanish? You'll Be Transformed Into A Highly Proficient Spanish Whiz! You'll be able to make new friends, broaden your perspective and even impress others with your newfound language skills! Unlike other language courses available on the market right now, the Surefire Spanish Learning Package does not just throw you an endless string of words and instruct you to remember them. It actually takes you by hand, and shows you HOW to do so. Through a mix of creative games and memory techniques, this unique package allows you to boost your language abilities in the shortest time possible by going with your natural flow of thinking, instead of against it. The mind thinks in pictures, not words. For instance, when I ask you to remember the word "waterfall," your brain automatically envisions a mental picture of a waterfall. Learn Spanish Spain. Instead of seeing the letters (W-A-T-E-R-F-A-L-L), your mind sees water cascading over rocks or pouring down the side of a cliff. Now imagine a huge grizzly bear in a tiny canoe, rowing towards—and right over—the waterfall. Without a doubt, I've just placed a clear mental image in your head. And if I ask you about the "grizzly bear waterfall" a week or a month from now, you'll know exactly what I'm talking about. It's because your brain uses visual images to represent your thoughts. It's also why psychological studies have shown that you can remember and recall more information—faster and easier—by linking or associating words with visual images. Countless people use this 'linking' technique to remember the names of hundreds of people they meet in business and social situations. traditional methods you were taught in school! And in Component #1, I reveal exactly how the "Link-Word" Technique works and how you can use it to accelerate your comprehension of new Spanish words to lightning speeds. Even better than that, I've taken the time and creative effort to produce 119 specific Link-Word examples. And I've compiled them all into a nice little ebook you'll get when you place your order today. Each of the 119 Link-Word examples consists of a short, simple description of a wacky and unforgettable image (like the Grizzly riding the waterfall by canoe). It's a mental snapshot that links a Spanish word with its English translation as part of the mental picture. Here's how easily you'll cement 119+ new Spanish translations into your mind with the Link-Word Technique : Learn Spanish Spain. Your brain makes a virtually unbreakable connection between the mental picture and the translation, creating a memory that's difficult to forget. You can use this technique to remember any word in Spanish (or any other language). What's the best way to feed your brain with new information? When is the human brain most receptive to new inputs? If you think the brain is best suited for learning Spanish when it's all tensed up or when you're concentrating, then you're making the same mistake as those who're struggling to learn any new language. Simply put, the brain is most receptive and best suited for learning when it is in a highly relaxed state. Learn Spanish Spain. Instead of cramming your mind up with Spanish words and phrases, the first component of the Surefire Spanish Learning Package is designed to put your mind in a relaxed state. Something that makes absorbing all the new information much easier and effortless than before. In fact, the whole process is so enjoyable... you don't even realize you're actively learning these new words. 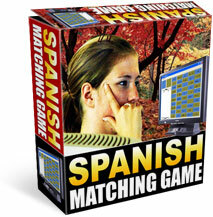 This one-of-its-kind Spanish Matching Game allows you to match up to 25 random pairs of Spanish and English phrases at any one time, generated from a database of 1000 most commonly used words. Strengthen your ability to remember and recognize 1000 most commonly used Spanish words by pairing them up with their English counterparts. Learn Spanish Spain. Match either 8, 15, 20 or 25 random pairs of words and phrases at any time, according to your proficiency level - The more number of pairs, the more challenging the game will be! Sharpen your Spanish vocabulary in a particular area by concentrating on a chosen category of words such as colors, numbers, types of profession or types of food. Create your own categories and add an unlimited number of words you would like to remember to each category. Play the Spanish Matching Game for just 15 - 20 minutes each day and use this as a powerful tool to remember any new words or phrases you come across - Simply add these words or phrases to the database! The second specially developed piece of software, the Spanish Flashcard Program, allows you to learn Spanish using the conventional flashcards method... without any of the hassle! Take full advantage of the effectiveness of flashcards, one of the world's most widely used learning aids... without the fuss of making your own using scissors, pen and paper! Learn 1000 of the most commonly used Spanish words (with their English counterparts) all from a single interface, in as little as 15 minutes a day. Learn Spanish Spain. Save time and choose only the words you want to learn, sorted by category. Add new words and categories as your learning progresses, to learn harder words and to keep your mind constantly stimulated. Learn Spanish Spain. The first step to learning Spanish or any new language is to "prime your mind" for all the new phrases and vocabulary that you're going to come in contact with. The best way to actually remember these phrases is not through rote memorization dreaded by many, but through a set of specially formulated memory techniques. 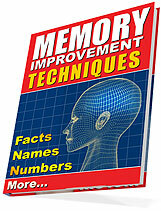 The Memory Boosting Report included as part of the package reveals 12 cutting edge methods to aid you in learning Spanish: Learn Spanish Spain. Number System - If you know how to call out numbers in the right order, you can exploit the number system to your full advantage! Now that you know these cutting edge memory boosting techniques, it's time to put them into action. The world around us is commonly represented in 3 forms --- words, visuals and numbers. In order to develop a photographic memory that works well in a real life setting, you'll need to quickly form associations between words, visuals and numbers using various memory techniques. This has always been the biggest problem facing those wanting to improve their memory up till now, because it is very difficult to find something that will train the mind to link words, visuals and numbers with the kind of intensity needed to produce results. Not anymore with the Daily Memory Booster, which gives you an almost automatic way to produce the desired results on your computer! 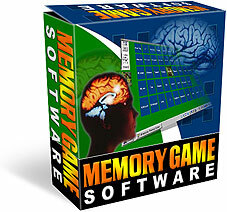 Simply play the flash card memory game for as little as 5 to 15 minutes daily, or whenever you feel like it. Through the engaging format of a scoring game, your brain is actually strengthening the kind of associations it can make between words, visuals and numbers... setting your way for a photographic memory in just weeks. Learn Spanish Spain. The Surefire Spanish "5 Steps" Package? Let's take a look at how much this package is really worth... Or rather, is it really possible to put a price to the lifetime of education you'll be receiving? Money saved from spending on other courses that do NOT work ??? Please understand --- I originally created these groundbreaking tools for my own use only to the tune of a few thousand dollars. This set of learning tools were developed from scratch and you probably won't be able to find a similar set of material as effective in helping you learn Spanish anywhere else. But now that I am achieving my own success in learning the language, I want to help others do the same. Why waste unnecessary time and effort when you can literally shortcut your way to speaking Spanish? Learn Spanish Spain. To help as many Spanish language students as possible, I'm making the entire Surefire Spanish Learning Package available for a low, one time fee of $97 $37. This price is not even close to what this package is really worth, so you can be sure I'll be raising the price once demand for this package starts to increase. I used the very same package myself with great success. In fact, I'm so confident of the quality of this package (and I'm sure you will be too) that I'm willing to take all the risk. Take my Surefire Spanish Learning Package for a 100% risk free, no obligations trial for a full 60 days. Use it to improve your Spanish and develop a photographic memory. Try all my techniques for yourself. If within 60 days you're not convinced that this is the BEST Spanish learning package available, simply email me for a prompt and courteous refund. No questions asked. In other words, you risk nothing just by giving this package a try today - not even your money. Now is that a fair deal? YOU CAN GET STARTED EVEN IT'S 3.00AM IN THE MORNING! All the products will be available immediately for download. Learn Spanish Spain. Don't delay, start experiencing the Surefire Spanish Learning Package for yourself today. This is a limited time offer ONLY!! To take advantage of this tremendous offer while it lasts, click here to order today! P.S - The full price of this package is $97, and that's not even close to what some of the Spanish courses out there will cost you. Because this is a digital product with no delivery costs involved, I'm able to offer it to you at the special, low price of $37 while it's still available. Don't miss out on this risk free opportunity. P.P.S - There is only one reason you should leave this page without reserving your package today. And that's if you're already proficient in Spanish. If you're not, what's stopping you? How much more money, time and effort do you wish to spend before finally "making it"? Learn Spanish Spain.